Your business card would be remiss without one. In addition, customers for business emails to contact customer service, make inquiries, or schedule appointments. In fact, 75% of customers say that professional business email addresses are key to building loyalty with a small business. Have you ever been embarrassed about giving your email to a potential client because it read badassdude6785@hotbot.com ? Having an email address like this will give off the wrong impression in business and won’t do you any favours when trying to land new clients or build a successful company. The Benefits Of Having A Professional Business Email Address. Some of the benefits for creating an email address account are obvious. If you want customers to communicate to you through your website, your IT department may have already set up a professional email address to handle these inquiries. 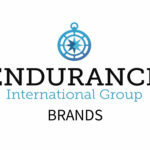 Your brand name is reflected in the communications that you send to customers. If you plan on sending any type of promotions, then you want to avoid the spam filter and create a professional business email address where your brand will be recognized. You will need a customer email address to use email service providers like MailChimp or Constant Contact in order to send out marketing pieces and customer communications. Your customer service email address will become the most popular as soon as you launch your website. 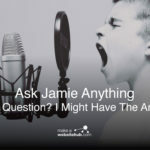 People naturally have questions, problems, or just want help. You can make it so simple by having a customerservice@amazing-scooterz or help@amazing-scooterz.com to ensure that these customers are serviced quickly and understand they are talking to someone at your company with the right email address domain. When you reply to customer inquiries and clients, you should have a custom domain that shows you are part of a real business and offer legitimate services. People may use the email address to go to your website, but overall, it sends the right impression when you are able to reply with a professional business email. There is nothing worse than receiving an email from James333@yahoo.com who wants to do business with you. It says nothing about the product or brand, other than James has too much time on his hands and is cold emailing everyone he can today. Once you have a custom domain, you can set up sales email addresses that will help your sales team work those leads and send out inquiries to help grow your business. Business email accounts come with additional security options that you can set up using cPanel. For example, HostGator provides SpamAssassin to filter out and block dangerous hacking and phishing attempts of your email. This is important for businesses as a data breach can kill off your web traffic in an instant. Once you start sending communications from your business email, you will start to get flagged for spam, especially if you have a suspicious email address that does not relate to a verified domain name. Customers may flag your email for spam even if it is a legitimate communication just because they do not recognize the brand name. To avoid this, just use a custom domain name that matches your website, social profiles, products, and storefront. Before you set up an email address, there are a few things to keep in mind so you leave the best impression on your clients and customers. Creating a business email address is a little bit like setting up a website. If you have never done either, you will need to create a hosting account with a hosting provider like Bluehost or HostGator. If you are not sure how to purchase hosting and want help, then jump to my Bluehost and Hostgator guides further down on this page. 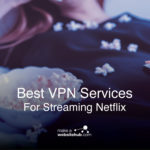 These two hosting providers are very friendly to beginners. While there used to be a lot of custom configurations, most of the setup is pretty standard and can be done in minutes from any computer with access to the Internet. Most hosting providers include email accounts as part of an all-in-one hosting package. Even at this level, the host understands that as a business, you want a professional email address that is completely branded. What Does A Professional Business Email Address Look Like? The first step will be to register a domain name for your brand or business. If you already have a website address, then you should use this for your business email unless you want to set up specific spam and security blocking for a separate email host or plan to have millions of traffic sent to a different add-on domain. The tool below will help you to find the perfect domain name for your brand / website and professional email address. Simply type in your desired domain name and it will tell you if its available to buy. If not, it’ll suggest the closest matches to that domain name. Can I Set Up Business Email Addresses for Free? Currently, there are no true “free” options for a custom business email with a web domain. 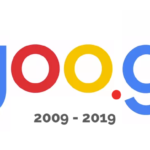 You will at the very least have to purchase a web domain, which costs around $10 through most of the domain registrars out there on the market today. While Microsoft did have a promotion in 2014 for free custom business emails, it has since shut the program down. Now you have to create a web domain before you can set up a professional, custom email address. Bluehost and Hostgator do offer free domains when you purchase web hosting through them. I will go through this later on in this guide. Unless you are living in 1999, the old Yahoo email address AmazingSc00terz@yahoo.com is not going to work. Instead, you want something like info@amazing-scooters.com. This business email can work for customer service, inquiries, or anything else related to your company. People will know that it’s your business because of the email address, and they also have the website domain where they can find more products or revisit if you are sending out promotions to an email list. Custom domains are a mark of professionalism. It shows that you have a real online business that people can trust and link to if they want to share products. This is why it is so important to have a custom domain for your business email address as well. In addition, your email address is cleaner with a business domain. Customers will remember your domain and go to the link to find out more information, or they can share the domain with others on social media. You may be thinking that an @verizon.net or @comcast.net is an acceptable business domain, but what happens if you no longer use that internet service provider in the future? You should replace any ISP email with your own custom domain as soon as possible. This is confusing for customers and clients to see. Do you work for Verizon or do you have your own business? What is your business? These can all be answered by using your own custom domain. Your brand may be quirky, but nothing is more frustrating than trying to reach customerservice@amazingscooters.com but realizing that it’s actually cust0merservice@amazingscooters.com. Catch-all email address to put on social media networks, contact pages, and press inquiry pages. Email used specifically for public relations, press, and media inquiries. This is an essential business function email where customers can request additional information, refunds, cancellations, and policies. Is there a legal issue? You can send these to this email address. For individual sales or employee addresses, you can create a naming mechanism that will suit the size and breadth of your company. Do you have a sales department that can handle leads? Send traffic to this important email address. There are a number of ways to set up your email address naming conventions. The best way to find these emails is to check out competitors or look at a favorite brand’s website. What names do they use in their email addresses? In addition, you should never use numbers in an email address name. These are unprofessional and cumbersome to remember. If you are using a typical email client with your business email such as Gmail, then you can change certain settings within your email address to ensure that people can identify who you are. This includes setting up your full name, profile picture, and signature (optional). This adds credibility to your name so that when customers or clients email your address, they are able to see your name and know that they are reaching out to the right person. Business emails need more secure passwords and spam filters than your typical address. Unscrupulous hacking, phishing, and spam activities can destroy your business email and even lead to more dangerous data breaches within your organization. Some hosting providers will provide spam assistance. For example, you can use SpamAssassin with Bluehost to protect your business email accounts. This spam filter creates certain filters that will automatically block malicious spam activities, but you can also set up additional filters to catch other activities particular to your business and industry. If you have a custom domain name, it is pretty easy to set up a business email account through service providers like Bluehost and HostGator. These hosting providers will allow you to create a custom domain or attach a business email to a domain that you already own. For the purposes of this step-by-step guide, we look at how to set up business email from scratch. To get setup with email using Bluehost, register and setup a Bluehost hosting account. By default, these plans start at $2.95/month and include up to five email accounts + you get a free domain name!. Once you have a hosting account, you can use this guide to start using your email accounts. Use this link to get a FREE DOMAIN NAME. 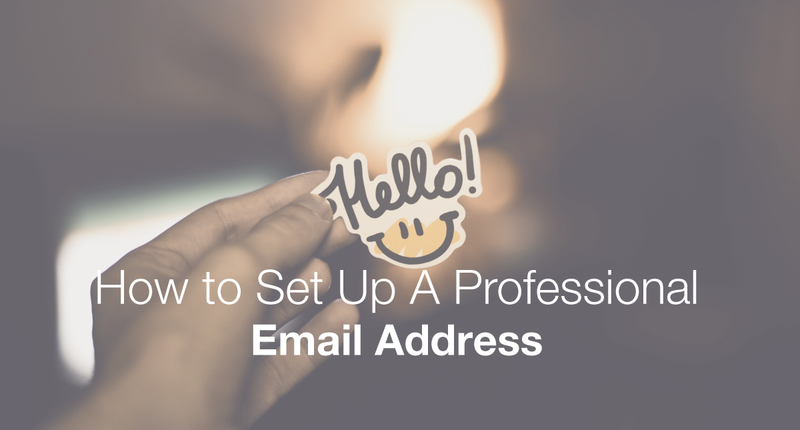 Once you’re sign up, you’ll need to do the following to create your new professional email address. 1. Log into your Bluehost Control Panel. 2. Hover over the “Mail” link and open the Email Accounts tool in cPanel. Once you are logged in, you will see a form with several fields including Email, Password, Password (Again), and Mailbox Quota. 3. Start typing in the name for the email address in the Email box. If this is your first email, you can simply create one for yourself using your name like john@amazing-scooters.com or you can create a business use one like help@amazing-scooters.com. 4. Type in the password for this user and note the password strength. You want a really strong password for your business email addresses that includes multiple characters and numbers. 5. Type in a Mailbox Quota if you want to set a specific limit on the amount of storage that this user can handle. The default with Bluehost is 250 MB. You can increase this if you think it will be a public email address that receives a lot of traffic. 6. Click “Create Account” to submit and create your first business email address. 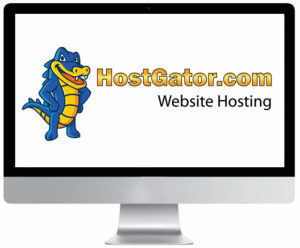 HostGator is a hosting provider that offers amazing hosting packages that include business email. You can set up an unlimited email account with the starter package on HostGator for $3 per month. This also includes a free domain and unmetered bandwidth. You will need to set up your HostGator hosting account first. You can purchase a domain name or transfer a domain name over to HostGator to start setting up your business email. 1. 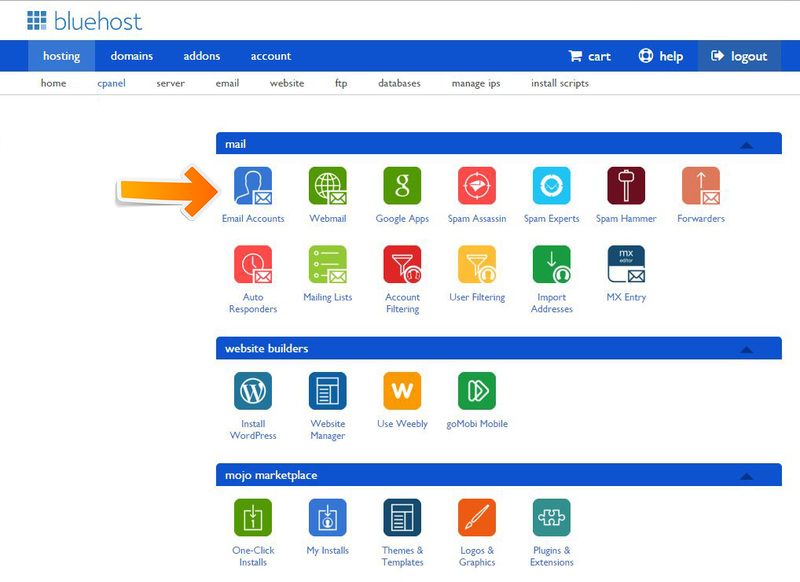 Log in to your HostGator account and click on the “Mail” section in cPanel. 2. Click “Email Accounts” to open up your email dashboard. You should see email, password, and mailbox quota fields. 3. In the email field, type in your business email that you want to create. Just like with Bluehost, this can be any kind of email address you want to start. You can always remove accounts later. 4. Enter a secure password and type again to make sure that it’s secure. Check the password strength if you are worried about security or spam problems. You can set up your spam filter later in cPanel. 5. Enter a quote in mailbox quota if you have a preferred limit. The default is 250 MB for HostGator as well as Bluehost. 6. Click “Create Account” to finish creating your first email account. You are probably used to public, free email clients like Gmail, Yahoo, and Hotmail. 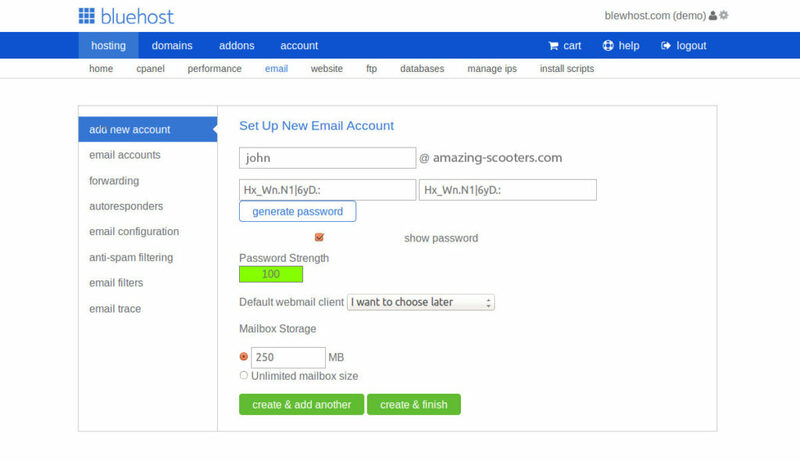 However, Hostgator and Bluehost will have their own webmail section for you to log in and check your email address. Bluehost and HostGator both have similar webmail applications that allow you to log into your email anywhere you go from your browser. 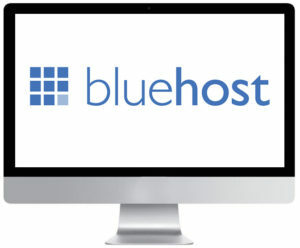 With Bluehost, you can access your webmail client by typing in bluehost.com/webmail. You can also use webmail clients like Roundcube, Gorde, and SquirrelMail. These provide interfaces, IMAP folders, and calendars that you will not find with some of the other mail clients. There are two ways to access your business email account once you complete setup in cPanel. 1. Access through your cPanel dashboard. 2. Access via direct link. To access webmail through cPanel, you will log into Hostgator and go to your hosting account, then click on Webmail. Type in your web domain and at the end, add /webmail or :2095. Type in your email address and password to open webmail and start browsing recent communications. Ultimately if you have a business today, you need to have a digital web address and professional email address that matches your brand. This is a way of separating yourself from amateurs and dangerous phish scams in the eyes of your customer. Since domains are much cheaper and the process to set up an email account is much easier, many businesses are setting up their email accounts as the first step to creating their business identity. They are using these emails to send notifications, promotionals, B2B inquiries, and much more. It’s time to set up your business email and spread your company message to the world! With business email addresses, you truly can open doors for your brand. You can communicate openly to customers and clients, empower your sales team, and make customer service teams really responsive to any inquiries. 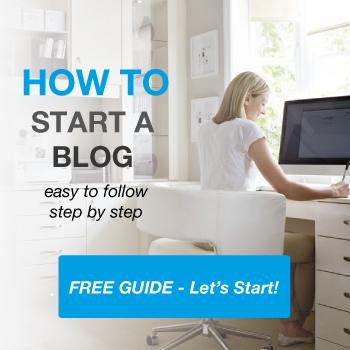 If you are not sure how to get started after reading this guide, you can contact us for more information or talk to a technical support guide at Bluehost or HostGator. Both of these hosting providers are skilled at setting up business email accounts and may be able to take care of the setup for you, providing you with a direct link where to access your email going forward.